Help Me Investigate’s ebook 8,000 Holes: How the Olympic Torch Relay Lost Its Way has been published on the longform writing site Medium. The story is Help Me Investigate’s first venture on the platform: you can follow the account here. 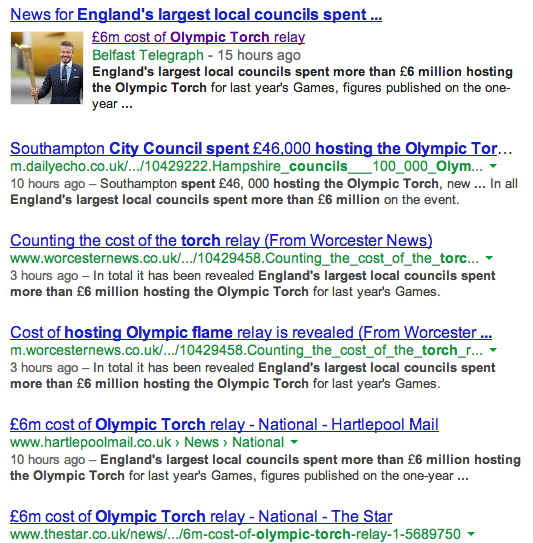 Help Me Investigate contributor GM has written for Northern Ireland investigative site The Muckraker on the costs of policing the Olympic Torch Relay in the region. “The final bill for taxpayers came to £1,029,749 – £205,950 for every day the torch spent in the region, according to information revealed by Freedom of Information requests. “In comparison London’s Metropolitan Police Service spent less than £150,000 for every day the torch spent in the capital. The Service covers a population more than six times larger than Northern Ireland’s. One council appeared to save hundreds of thousands of pounds on the Olympic Torch Relay by getting Olympic organisers LOCOG to pay their costs – but for six months they have denied having any records of how that happened. 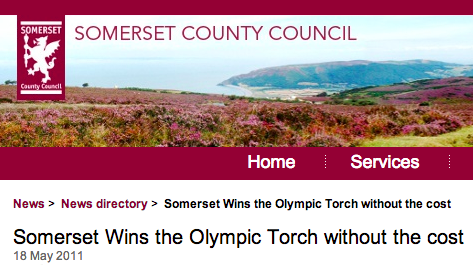 Carol Miers reports on the curious case of Somerset County Council. 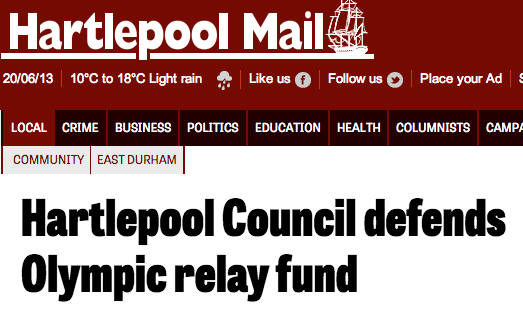 Hartlepool Council have defended their decision to fund part of the Olympic Torch Relay with money intended for a maritime festival. 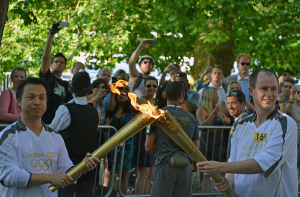 “The Maritime Festival had a budget of £35,000 and officers say around 10 per cent of that, plus external sports funding, covered the £10,000 cost of hosting the Olympic Torch. [A council spokesman said] “The bulk of the Maritime Festival budget was spent on staging the Diamond Festival, a celebration of the Queen’s Diamond Jubilee which took place on the weekend of June 2/3 – two weeks prior to the arrival of the torch. 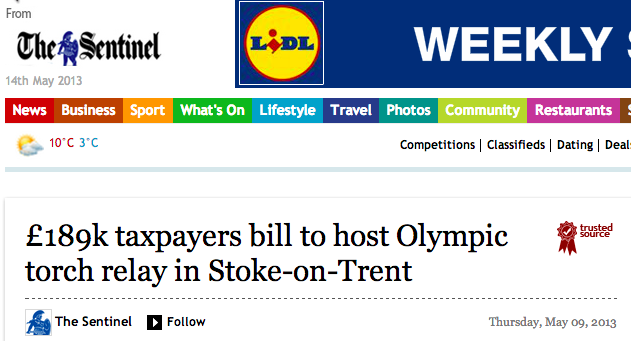 The Stoke Sentinel and Huddersfield Examiner have reported on Freedom of Information requests from Help Me Investigate about torch relay spending.